You are here: Home > Midwife : UK deaths result of failing to meet the needs of … midwives ? 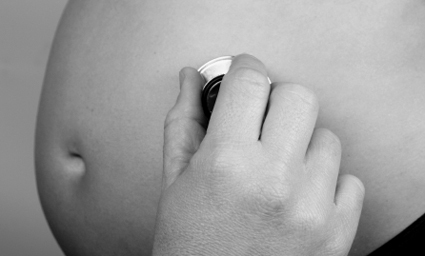 Midwife : UK deaths result of failing to meet the needs of … midwives ? Two weeks ago I reported on 15 deaths at two hospitals in the United Kingdon (Promoting normal birth is killing babies and mothers). The 15 tragedies were united by the fact that midwives were so busy promoting “normal” birth that they failed to recognize complications or refused to refer patients to specialists in the face of complications. The mounting death toll of midwife attended preventable neonatal deaths and preventable maternal deaths demonstrates that efforts to promote normal birth kill babies and mothers. That’s not surprising when you consider that promoting normal birth is fundamentally unethical. An ethical medical professional recommends whatever is safest for the patient, not whatever is most beneficial for the provider. Last week I posted the story of Joshua Titcombe, whose needless, senseless, entirely preventable death occurred at the hands of midwives who refused to acknowledge that he was ill and never alerted a pediatrician. It’s a masterpiece of the genre employed by errant politicians and corporate malfeasors, the non-apology apology. But blaming individuals for failing to care is no solution when the whole system is wrong. Actually, blaming individuals for their unacceptable, unprofessional behavior is an excellent solution. We even have a special word for that solution. The word is “accountability.” Health professionals who commit malpractice (for that is precisely what happened in these instances) should be held personally accountable for their failings. According to Ms. Davies, though, the midwives are not responsible for those deaths, “the system” is responsible. In a remarkable bit of rhetorical jujitsu, Ms. Davies insists that the failure of the midwives to obtain help from other clinicians (obstetricians and neonatologists) is the result of a shortage of … midwives! … the circumstances described reflect the continuing neglect of pregnant women’s core needs. The government has chosen not to recruit the 5,000 additional midwives the Royal College of Midwives has repeatedly stated are required. Those two sentence sum up what is wrong with the UK maternity system, though not in the way that Ms. Davies had in mind. First, Ms. Davies deliberately conflates the needs of pregnant women with the needs of the midwives who care for them. The core need of pregnant women is for safe, professional, compassionate maternity care. The core need of UK midwives is apparently full employment for UK midwives. Second, is there a shortage of midwives in the UK? Perhaps, but this is not an example of it. These were not overworked midwives who did not have the time to attend to their responsibilities. These were midwives who had more than enough time to “care” for patients who should have been cared for by specialists. These tragedies occurred because midwives deliberately took on work that properly belonged to others in an apparent effort to protect their turf. The preventable deaths at both hospitals include cases in which obstetricians were told that their help was not needed and parents were told that the expertise of pediatricians was unnecessary. Apparently not, since thirteen babies and mothers are dead specifically because their midwives did not provide the best care. How nice, but what does that have to do with the disasters that occurred? Nothing. Because of the lack of recruitment, many newly qualified midwives struggle to find posts. How sad, but what does that have to do with the disasters that occurred? Nothing. For the long-term health of mothers, we desperately need a different model for maternity care – one that is community based; gives midwifery continuity; and where birth takes place at, or close to home for most healthy women. Really? Would community based care, homebirth and midwifery continuity have prevented any of the thirteen deaths? Of course not, but it would lead to greater employment opportunities for midwives and that’s more important. What led to the deaths of these babies and mothers? Midwives putting their needs ahead of the needs of patients. Ms. Davies is doing the exact same thing in this piece: putting the needs of midwives ahead of the needs of mothers.